I’m gaga over this new film…this is a must see movie of the decade! The music, the cinematography and the acting is to be no doubt the 2019 Oscar winning block buster movie. 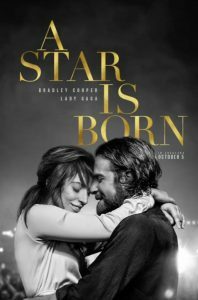 Bradley Cooper & Lady Gaga’s chemistry is beyond real as you feel as you are a part of this amazing story telling. 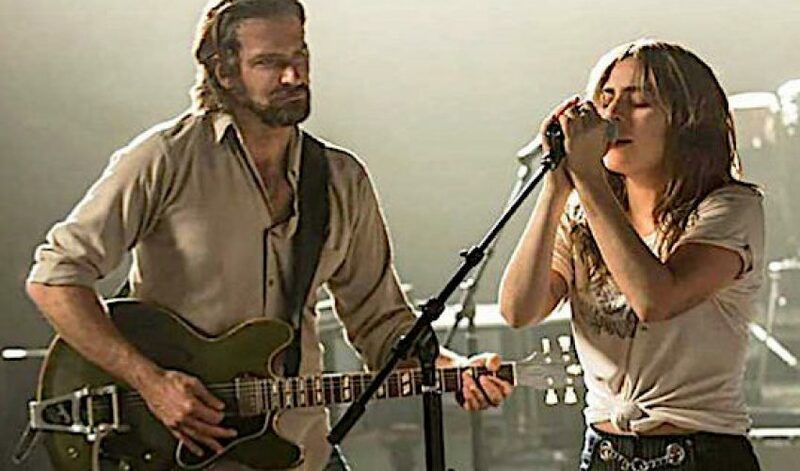 As the third remake of the classic, Bradley makes his directorial debut and deserves the outstanding praise and validation as not only can he act but also direct–and sing. Last night I ordered the soundtrack (yup I still order CD’s online) and truthfully am looking forward to seeing the movie again. Lady Gaga is brilliant and really a far cry from the shocking meat dresses and attention grabbing early years. She is more than just a singer and songwriter but an outstanding actress, too. Truth be told, I like to refer to men as actors and ladies as actresses–call me old fashioned. I have been waiting to see this movie since the very first announcement and last night while I reclined with a cocktail in my hand and some popcorn at Bow Tie Cinemas in Norwalk was the perfect place to experience this mega movie. I laughed and I cried like no other movie. As a performer myself I totally understood the character’s drive to perform and reach audiences. But at it’s heart this is a love story and I was in from the moment it started. So this weekend get to the movie and see this film as you well too be touched and rocked by the story. This is one of those moments in time that you will forever remember where you where when you saw this movie. Yes, it’s that powerful! All of use here have our favorite moment…Paul’s is the scene in the supermarket parking lot. Clare’s is her first moment alone on stage at the piano. Mine is when she first joins him on stage and lets her voice soar. What’s yours? Without giving any spoilers, comment on social media and share yours!